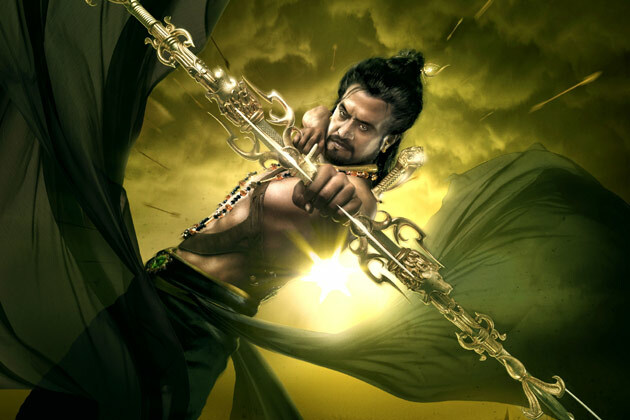 ‘Kochadaiyaan’ first teaser trailer released yesterday seems to be a massive hit. In a single day the teaser has been viewed by almost 1 million members. It’s the most expected movie for a long time and to be a great come back for Super star RajiniKanth. Three years after the blockbuster ‘Endhiran’, Rajini has treated his fans with this teaser. The teaser really looks awesome and turned to hit 1 million views in a day. Most of the Indian stars left their tweets about the ‘Kochadaiyaan’ teaser. Find the teaser here. The movie is based on the story of the Pandiyan king ‘Kochadaiyaan Ranadhiran’ and the princess ‘Vadhana Devi’ of the 8th century. The teaser gave a mass entry for RajiniKanth and the Subtitle of the movie ‘The Legend’, really a classical selection for the movie. The first teaser of ‘Kochadaiyaan’ are enjoyed by all the fans though it marks a bit disappointment for ‘Deepika Padukone’ fans because Deepika Padukone has not shown in first teaser. The teaser now became the media king as it rocked with the tweets and views. Many stars have made their tweets to this Legend. The best actor of Vijay awards ‘Dhanush’ had tweeted for Kochadaiyaan, "Vamos rafa!! a fighter who inspires me in all my battles.what a comeback!!!!!!! so happpyyyyyyyyyy". The Abhishek Bachchan tweeted, "Congratulations to my friend @sound_a_rajini the teaser looks AWESOME!!! HE'S BACK!!". For Deepika Padukone fans, Soundarya R Ashwin, director of Kochadaiyaan and daughter of ‘Super star RajiniKanth’ tweeted, “The beautiful princess Vadhana Devi (Deepika\'s character)... Next teaser just to reveal your stunning looks". Its expected that, next teaser will make the presence of Deepika Padukone. The music of ‘Kochadaiyaan’ are expected to be released by next month, October. The movie is expected to hit the screens on a special occasion of RajiniKanth’s birthday December 12. The teaser is going on its way to make more records and the movie is going to change the way of the Indian cinema. Everyone is waiting for the special day. Readers share your views on the teaser of ‘Kochadaiyaan’.